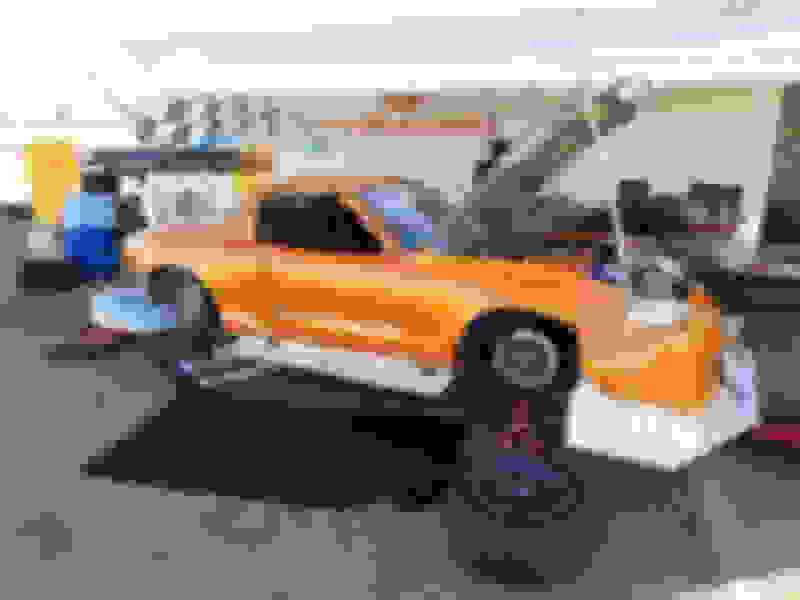 2018 Super Lap - Buttonwillow - Miata Turbo Forum - Boost cars, acquire cats. This will be the last Super Lap at Buttonwillow. The premiere GTA event will move to COTA for 2019. 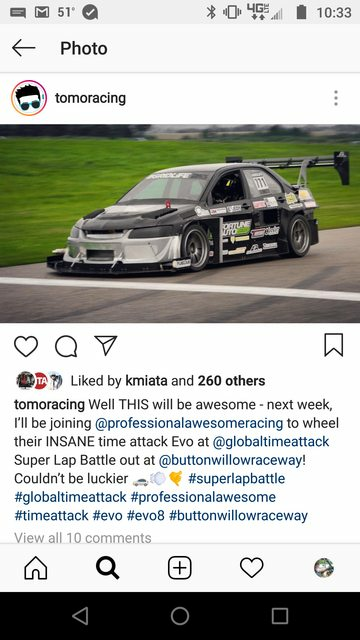 Anyway, who is entered for Buttonwillow? Whatcha bringing? We are entering Vegas in URWD (Unlimited Rear Wheel Drive) as defending champions. Car is much more developed than last years car. There are three really fast UAWD cars coming, one of which should be capable of a 1:35. So far, none of the entries in URWD look to be a match for a a healthy Vegas. So we're busting *** to get the car ready. We did a 1:44.9 last year. Hoping to go well under 1:40 and maybe get the GTA RWD lap record. Ryan will be there defending as LRWD (Limited Rear Wheel Drive). He's done 1:47's there. LRWD record was set by Cody Kischel in a highly prepped 600+whp C6 at 1:44 back in 2015. I know Ryan doesn't just want to defend. He wants that record. The LRWD field is definitely deeper than URWD. Ryan has his work cut out for him. It's really cool to see folks from our plucky little community ramping up for this. I'm not that far away but I don't have time to come watch, sadly. Which YouTube channels should I watch for good coverage? Blows my mind that the overall record is held by a FWD car. Good luck this year! Good luck to all going, hoping to see some new records. I won't be there, couldn't get the time off. Maybe 2019 after the car gets some power drilled into it. That Limited RWD record that Cody set, I believe the car was just intake/exhaust/tune at the time so maybe 525WHP. But it also had Hankook TD's and a flat bottom since the rules allowed it at the time and TD's were available. And Will set the Unlimited record at ~750whp, so not quite 900 (latest dynos were up to 850-ish I believe this year? ), but yeah still a metric **** ton of power for a production based track car. Last edited by Arca_ex; 11-07-2018 at 03:59 AM. Our URWD entry for 2018. Good luck to everybody competing!!! I have my money on Emilio in Vegas and Ryan in Hypermiata winning their classes. It would also be sweet see both of you breaking the class records as well. I'd easily compare him to Billy Johnson or maybe even more raw talent? Agreed that TomO will probably get the new everything record for 13CW. That car is easily capable and Tom will not leave anything on the table. I’ll be driving my car in limited rwd. Not at all looking for a win or even a podium. Iv put down about 40 laps at this track In the last 4 years so I’m not all that comfortable at this track yet. Just looking to have fun. Ryan is on target. 1:48.7 with a banker lap first session. No issues. Vegas feels amazing on the 275/295 A7's. Minor catch can issue so I aborted my morning practice session. Missing first timed session while we sort the catch can and install the flat bottom. Catch can fix now better but still filling faster than the drain back to the pan. Modified the check valve, rotated the can to help the oil resist g forces. Will try again at 3. Aaaaaand it looks like all the live coverage is uploaded on YouTube as well. Interview with Ryan starting here at 14:37.